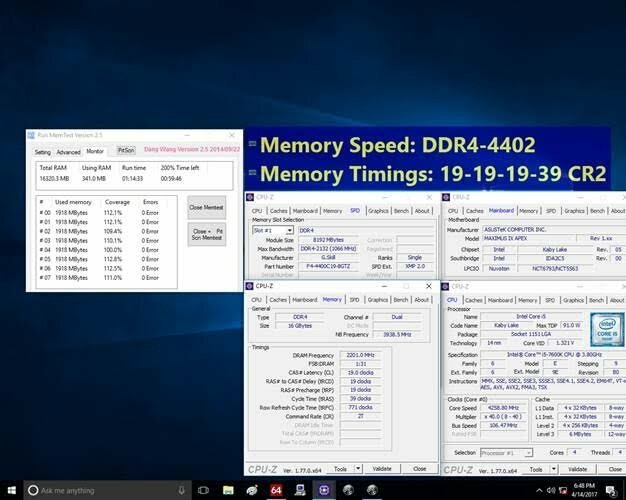 The stress test screenshot below displays the DDR4-4333MHz memory kit validated on ASUS ROG Maximus IX Apex motherboard and Intel Core i5-7600K processor. 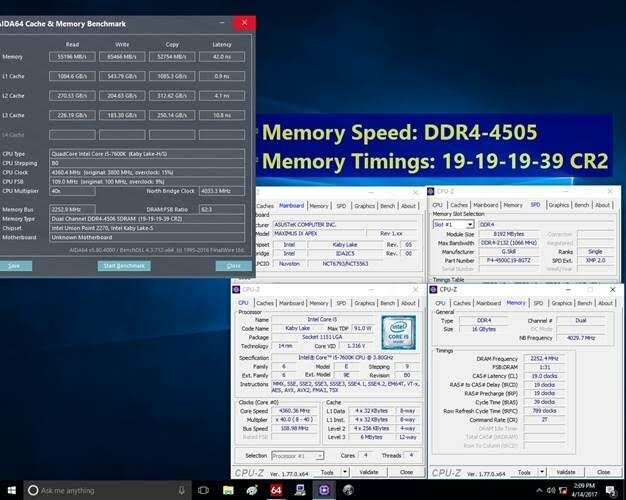 This extreme DDR4 memory speed is benched on the Intel Z270 platform, achieved with the ASUS ROG Maximus IX Apex motherboard with an Intel Core i5-7600K processor and a 16GB (8GBx2) memory kit running at DDR4-4500MHz CL19-19-19-39 timing. The tested bandwidth resulted in 55GB/s read speed, 65GB/s write speed and 52GB/s copy speed under dual channel mode. The screenshot below provides further details of the hardware setup and bandwidth speed. 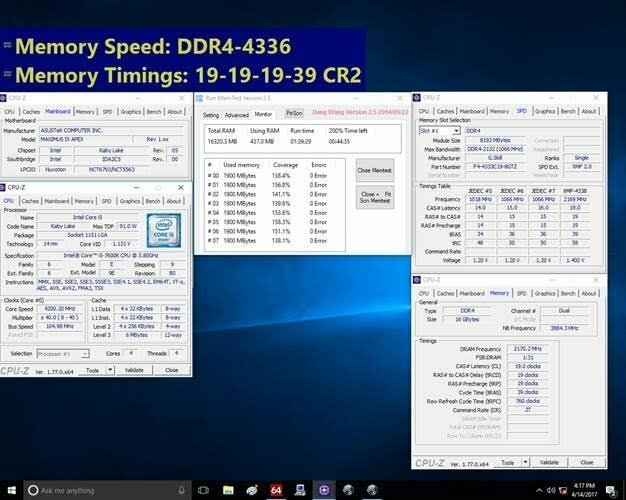 As an extra bonus sneak-peek, the screenshot below shows DDR4-4400MHz being stress tested. The specifications are still under development and would require some time to be ready for market production. Established in 1989 by PC hardware enthusiasts, G.SKILL specializes in high-performance memory, SSD products, and gaming peripherals designed for PC gamers and enthusiasts around the world. Combining technical innovation and rock solid quality through our in-house testing lab and talented R&D team, G.SKILL continues to create record-breaking memory for each generation of hardware and hold the no. 1 brand title in overclocking memory.